Come and explore Yoga with us! Drop the kids off for a yoga class or bring the whole family in for some quality time. Through poses, breathing and meditation we teach children effective coping tools. Let’s destress and bring the focus back to our bodies, learning healthy ways to manage life, all while having fun with our fellow yogis. Dedicate this hour to connecting with one another without any distractions. Not only is yoga a great family activity, it has the potential to unleash an abundance of health benefits. The benefits of yoga are countless, from increased flexibility, focus, strength, and self awareness, to decreased stress. Through this mindful practice one can learn to regulate emotions and bring a sense of calm into stressful situations. The benefits of yoga travel far beyond the body, providing mental and emotional support as well. Opening this up to children has the potential to be life changing. Come practice with us and see for yourself! 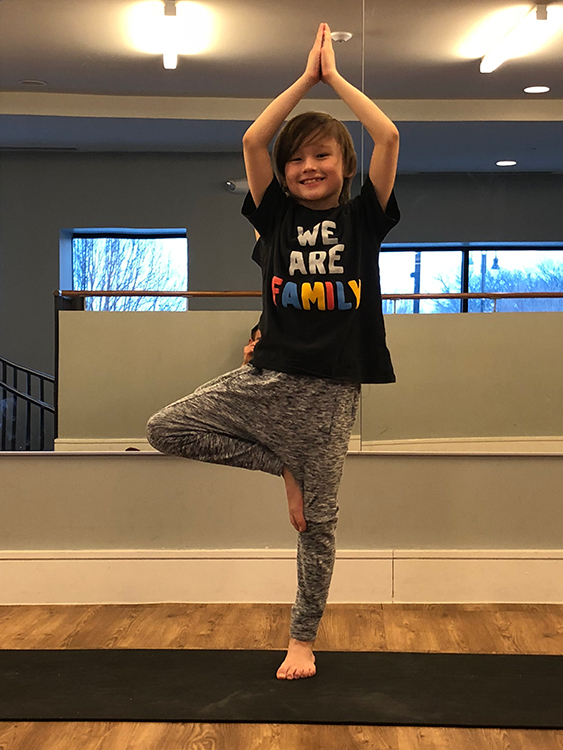 Our program makes yoga accessible to the entire family. 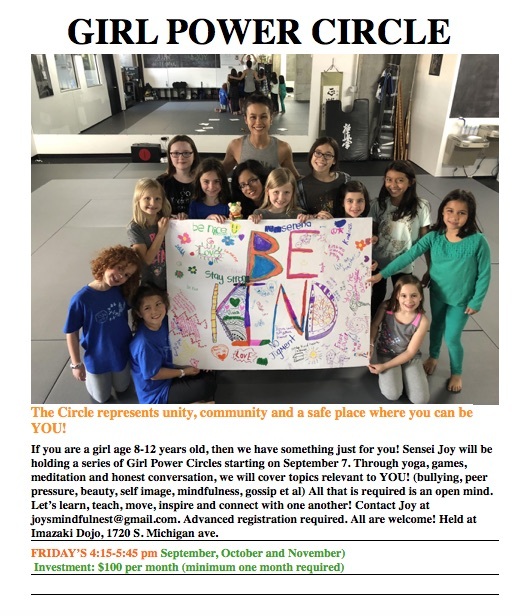 Check back with us often as we will be growing our yoga program! Kids yoga: to be confirmed. Joy has been a yoga lover since she stumbled into her first yoga class over 15 years ago. Throughout Joy’s career as a fashion model, she found herself traveling all over the world and working long hours. Joy turned to yoga and meditation to keep her grounded and healthy. Her style is one that honors the yogic philosophy as much as the poses. She uses the poses as a fun and healthy way to connect to a higher self. As a co-founder of Imazaki Dojo and black belt in Kyokushin karate, Joy found her passion working with children. 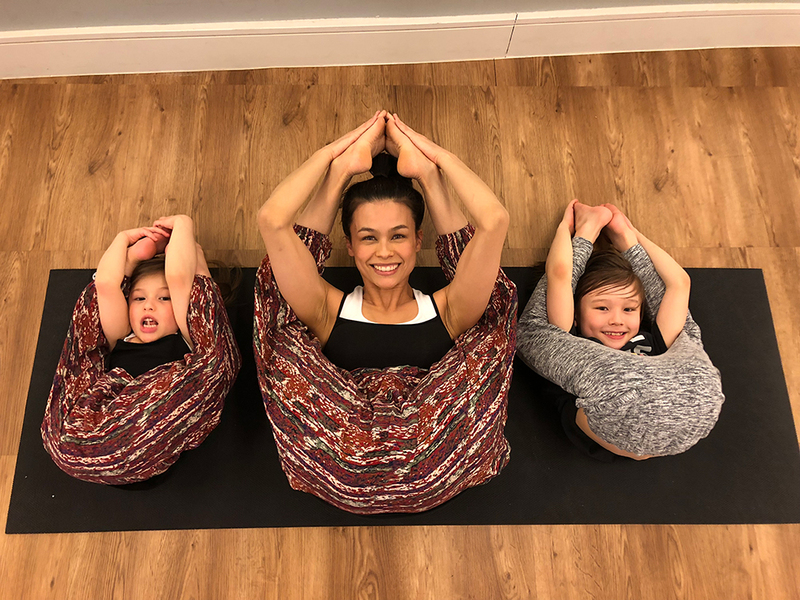 Inspired by the children at the Dojo and her love of yoga, she began teaching family and kids yoga. Joy completed her Yoga Teacher Training in 2015 and is Yoga Alliance certified.